Bustan Al-Qasr district. A child looks the demonstration against the Assad regime. 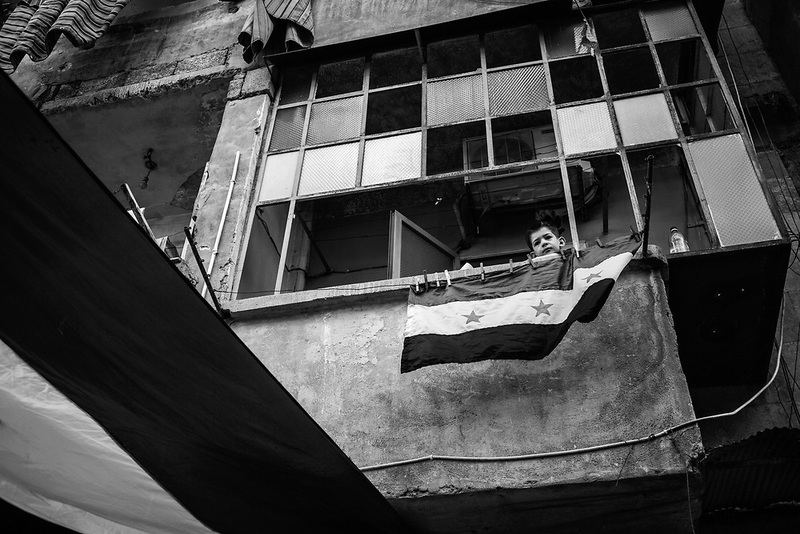 The FSA flag hanging from the balcony.